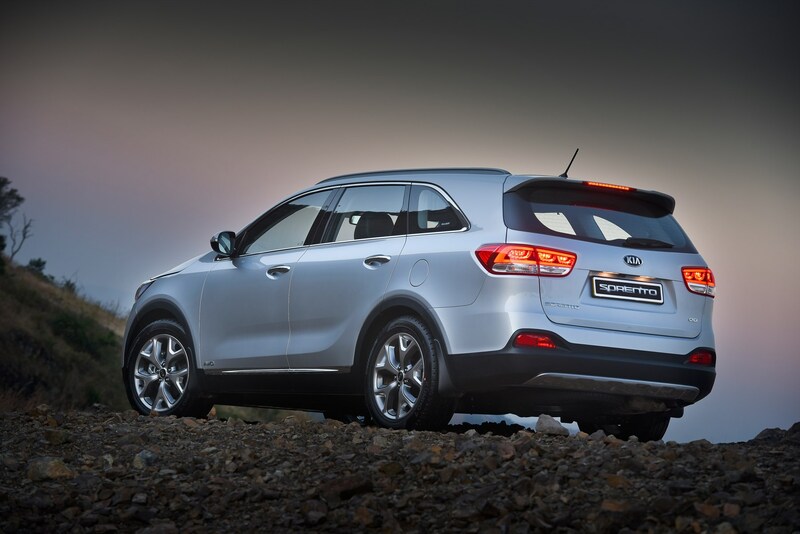 The new KIA Sorento goes on sale nationwide on 1 July 2015. The new Sorento is bigger with an increased length (+95 mm to 4 780 mm), reduced height (down 15 mm to 1 685 mm) and extra width (+5 mm to 1 890 mm. All models come as standard with a Radio / CD / MP3 player, as well as multimedia ports for USB and AUX-in connections, and six speakers around the cabin. In entry-level models, information is displayed on a 3,8-inch display, while higher specification grades feature a 4,3-inch colour touch screen that incorporates the rear-parking camera. Available in five- or seven-seat versions, the new Sorento features 40/20/40 second row split folding seats for improved versatility, with a higher folding centre armrest. Depending on the model grade, the second-row seats can be ‘remotely’ folded by conveniently located levers in the side of the cargo bay. 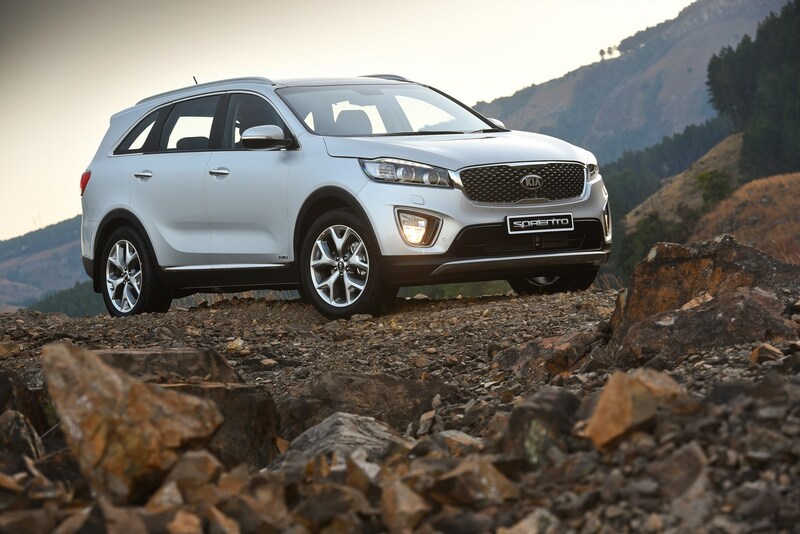 Local KIA Sorento models come with a choice between a 2,4-litre multi-point injection petrol engine and the established 2,2-litre ‘R’ turbodiesel engine. Kia says the high-specification versions of the all-new Sorento are equipped with KIA’s DYNAMAX™ all-wheel drive system, which delivers a high level of stability and confidence in poor driving conditions and on low-grip surfaces, balancing torque distribution to the front and rear wheels depending on the specific requirement. The system is further enhanced with a ‘4WD Lock’ mode, which splits torque distribution evenly between front and rear wheels and gives greater traction and even more predictable handling in snow, on sand, on other low-traction surfaces, and around bends. Does not look as if a low range option is available. Manual models are equipped with KIA’s Flex Steer system, allowing the driver to switch between three levels of steering assistance – ‘Normal’, ‘Sport’ (which reduces the level of assistance for a more engaging drive), and ‘Comfort’ (which requires less effort to steer). KIA South Africa will offer the all-new Sorento in four specification grades, ranging from LS and LX at the entry level to the mid-spec EX and top-spec SX. All models ship as standard with KIA’s industry-leading 5-year / 150 000km warranty, as well three years of unlimited roadside assistance. The Sorento 2.4 LS comes as standard with a 4-year / 90 000km service plan, while LX, EX and SX models include a 5-year / 100 000km maintenance plan. Mitsubishi have been building these Pajeros for long time now almost unchanged from the original. 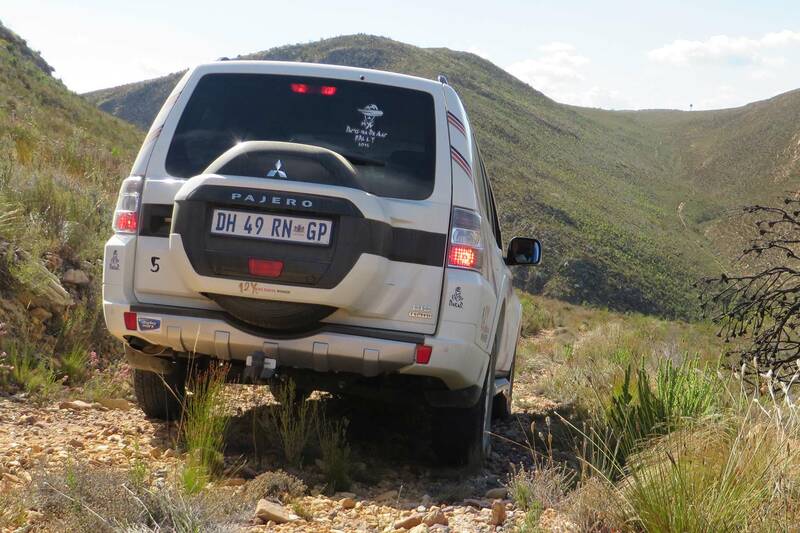 My brother-in-law has a 2005 model which has breezed through the Richtersveld, Kgaligadi, Kaokoveld and Delta and with which he is very happy. He drove the new model and thinks its the same as his. “Just as good!” he says. I think they have refined it a bit and made the small changes that owners asked for. Most changes have been cosmetic, some for new safety standards. The dash is new, as is the sound/ display system to accommodate newfangled tech like USB and MP3. The rear door has changed quite a bit. Spare is now centred, the triangle etc housed behind a plastic panel and the door now has a gas strut to hold it open. Otherwise its the original paj. The car many say Land Rover should have made the Defender station wagon. It can go anywhere, it is reliable and very comfortable. 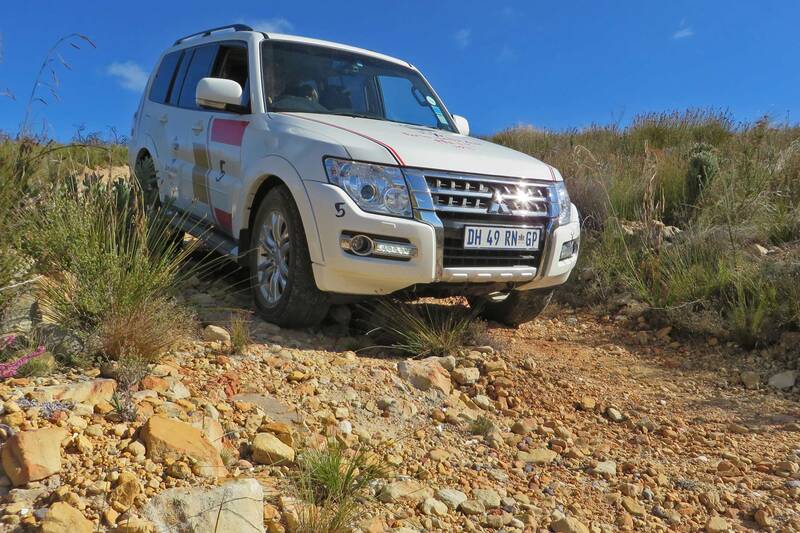 Pajero is all about the ride and the journey. On highways she behaves like a big family saloon. You can cruise all day at the legal limit and never get tired. Acceleration is on tap and ready the moment you need to get a move on. The seats, steering position and finishes are all top drawer. It is in effect a luxury car which will take you to the edge of excitement. 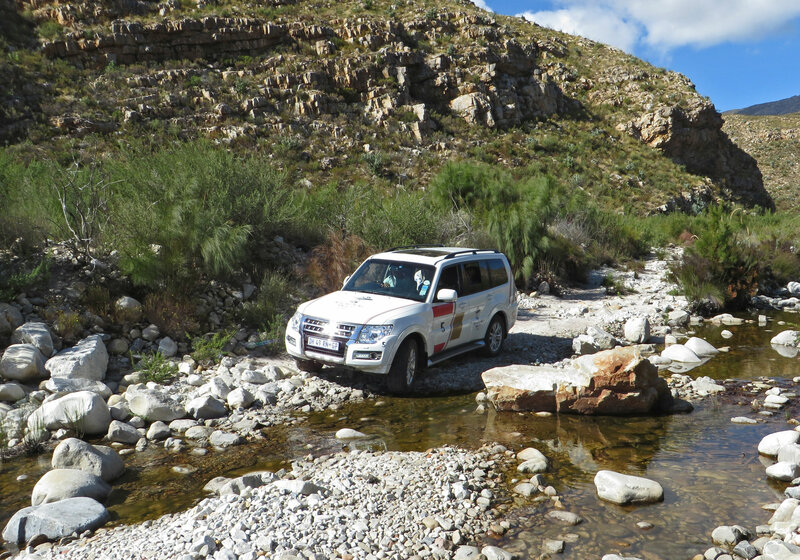 Venture off the beaten track and she really comes into her element. The 4×4 and gear system is one of the best available. It is a tough versatile set up which allows you to adjust to your driving conditions without resorting to fancy fragile electronics. Fantastic. The automatic box coupled to this traction system is hard to beat. The system is called Super Select 4wd and has 4 modes: 2H (2WD high range), 4H (4WD high range) like AWD, 4HLC (4WD with centre differential locked) and 4LLC (4WD LOW range with centre differential locked). 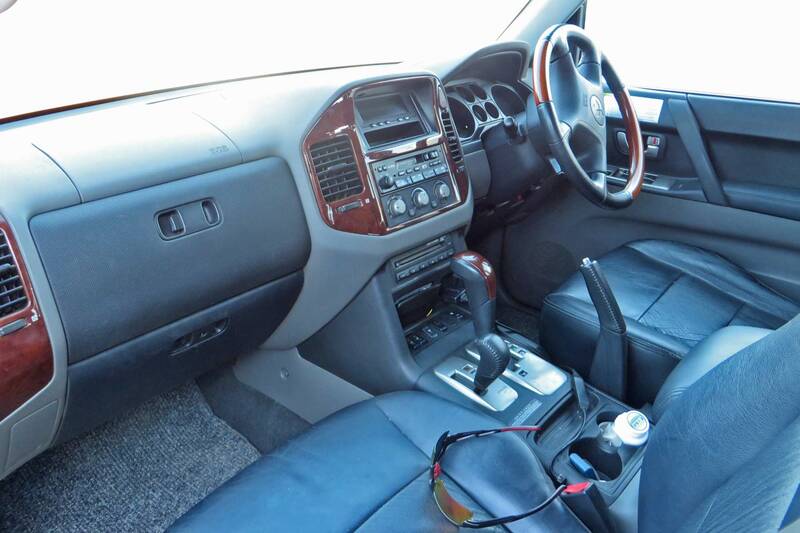 This vehicle is in a category above your normal 4×4 double cabs and derivatives like the Fortuner and Pajero Sport. Pajero matches and plays with the big boys. You have 441Nm from 2000rpm and over a wide band, coupled with the 235mm ground clearance and good angles and very little will stop you. Goodies to make travel more enjoyable include a Rockford Fosgate® Sound System with touch screen radio, climate control, cruise control, rear view camera, Multi-information Display (Compass, Barometer and Altimeter, Outside Temperature, Range to Empty and Average Fuel Consumption, Time and Date Display), full leather trim and so on. It has removable 3rd row seats and heated front seats with electric control. Outside equipment includes HID Headlamps with Automatic Levelling Function, Rear Park Distance Control, mudguards, fog lamps and more. 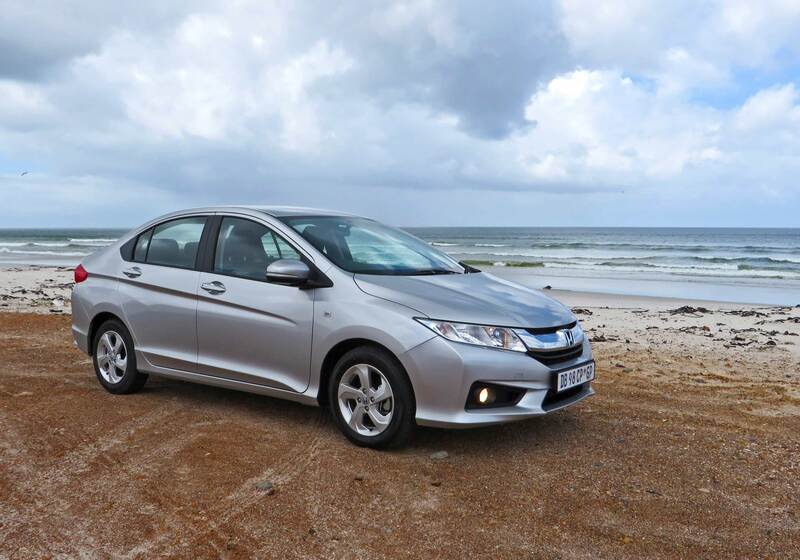 Safety features include ABS and EBS, Active Stability and Traction Control, six airbags and keyless entry. She tows up to 750kg with ease. Seriously versatile and superbly capable, both offroad and onroad. Best value for money in the family sized real 4×4 SUV niche. 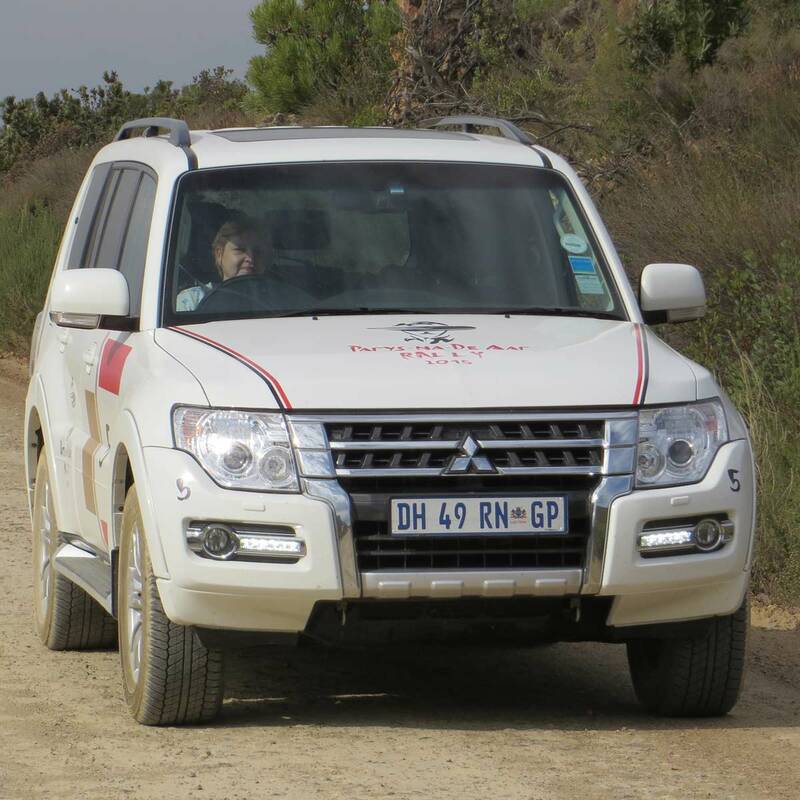 The Pajero enjoys a deserved reputation of toughness and reliability. We suggest you get the Exceed model. A new Pajero is expected late in 2016. Also look at Range Rover, MB Gelendewagen, Toyota Land Cruiser, Nissan Patrol, Discovery, Jeep Grand Cherokee and Wrangler. The flagship 3.2 Di-DC GLS 4×4 Exceed (A/T) Diesel is R669 900 (as tested). Seven seaters are really very useful. They can be a little bus or a big hatchback, or a van; you take your pick. With the back seat removed the ‘boot’ becomes large. With the second and third rows either folded down or even removed the car becomes a little van. I haven’t tested the Xylo or Suzuki Ertigo yet but I can say the Mobilio is a step up from Toyota’s Avanza. It feels and looks more classy, yet they cost more or less the same. Its got a good ground clearance of 188mm and is wide enough for general light cargo duties. This translates to 223 dm3 of cargo with all seats being used, which increases to 521 dm3 with the third row folded down. The engine is very utilitarian though, it does the job but without much flair getting to 140km/h on a long straight or slight downhill. Fuel consumption is around 7 litre/100km. Actually, driving it around town is fine. 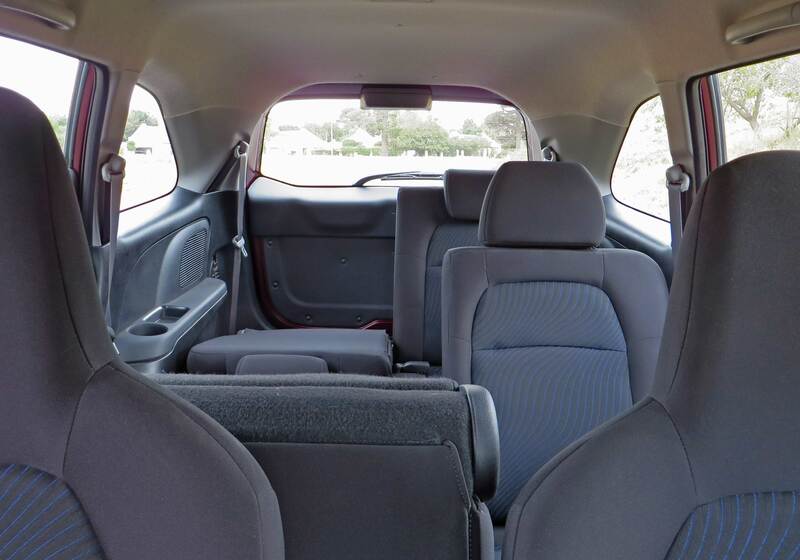 The cabin is comfortable and practical with loads of storage spaces and fairly comfortable cloth covered seats. Standard features include central locking, electric front and rear windows, height-adjustable headlights, air conditioner and tilt-adjustable steering wheel. This mini-MPV has been well executed. 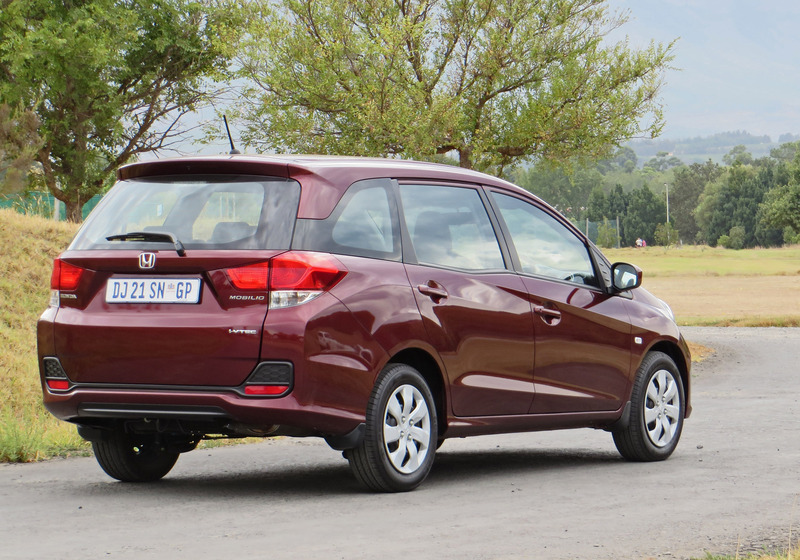 The package works and feels much more upmarket than the Avanza, I thought. This is a very practical vehicle for a small business or a growing family. It feels more like a car than a van and is passenger orientated. You can fit a lot of luggage if you fold the third row of seats down or keep it up and seven people fit easily. Preferably fit children in the back row. Space is at a premium back there, especially for your knees. Its a bit like SAA cattle class. 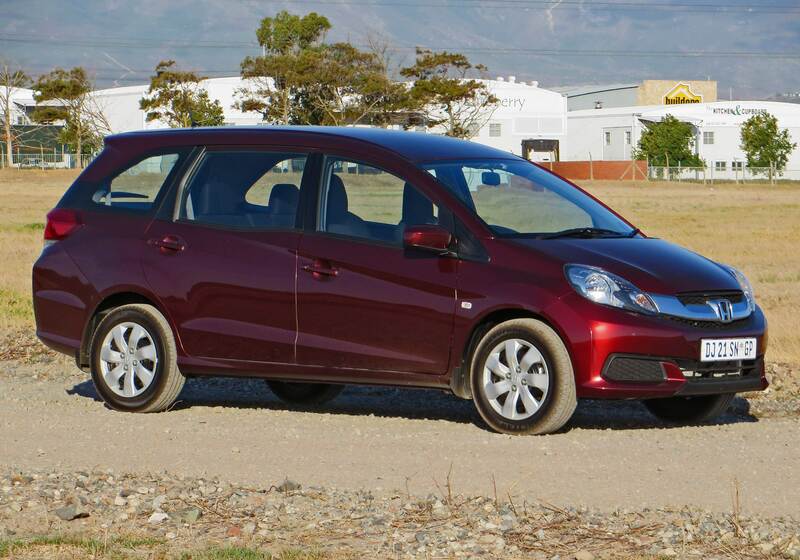 The Mobilio Trend costs R188 000, while the better specced Comfort costs R207 900 in manual and R224 300 in automatic form. The Mobilio comes with a 3 year or 100 000km warranty. A service plan is included. Also look at the Toyota Avanza, Suzuki Ertiga or Mahindra Xylo. Honda Ballade holds a special place in our motoring world. Merc built wonderful classy little Benz’s when they built and marketed the first few generations of Ballade. After a bit of a splutter Honda now offer us a Honda built Ballade. It is a nice little car, but sadly not quite the class act you remember. 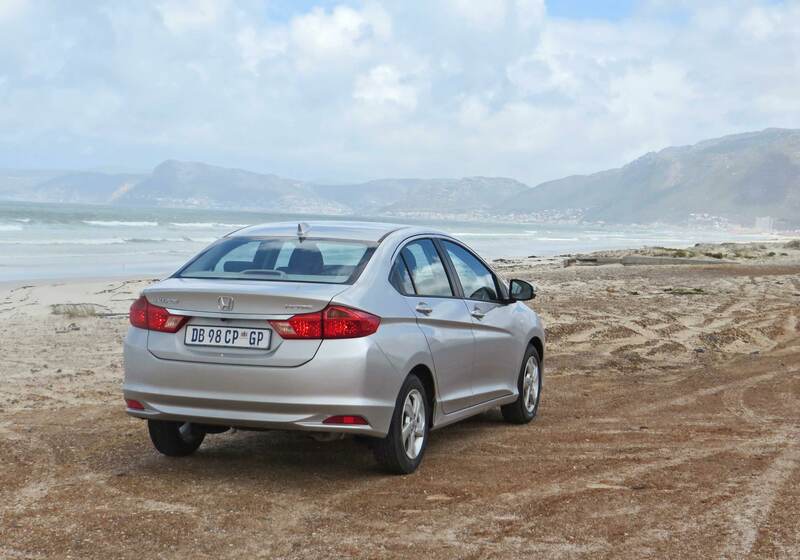 The new Ballade is a modern and well designed subcompact sedan with loads of interior space for its size, is well specced and it has good roadholding . You can choose manual or automatic (8speed CVT), base or Trend trim or fancy (Elegence) specification. Both models safety equipment which includes six airbags, ABS with EBD, emergency brake assist, vehicle stability assist and hill-start assist. The Elegance also has shift paddles, Eco button on the CVT version, cruise control and a reversing camera with three viewing options: top, normal and top-down view. The sound system is very good, with Bluetooth, broad connectivity, easy controls and pleasing sound. I was a little disappointing with the wind noise and one or two places in the cabin were just not smart enough for my liking or expectations. The Ballade is pleasant to drive. Fuel economy is pretty good at around 7 litres/100km in real world conditions dropping to around 5L/100km om highway. Tyres are 175/65R15, so are economical to replace and give a comfortable drive. Also look at the Kia Rio, VW Polo, Hyundai Accent, Suzuki Swift, Toyota Yaris and Renault Sandro. Three-year or 100 000km warranty and four-year or 60 000km service plan (intervals of 15 000km).